Slightly over a year ago, I wrote that Crowhurst was an underground band on the verge of exploding to the forefront of extreme metal. 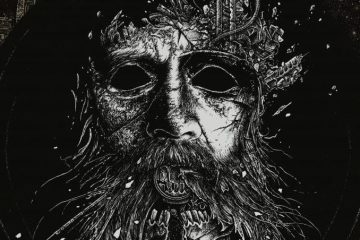 Sitting here today after having had a few weeks time to digest the band’s newest project and mastermind Jay Gambit’s latest foray into the world of blackened aural art, I believe that they have truly lived up to this lofty claim. Crowhurst’s latest effort, the simply named II, is a freight train of catchy grooves, suffocating atmosphere, and strained, manic pain. 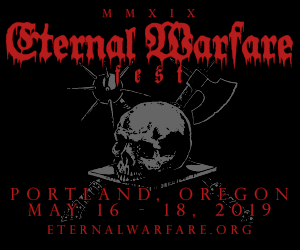 This massive effort enlists the all-star talents of Andrew Curtis-Brignell of Caïna on guitars, Matron Thorn of Ævangelist on guitars and drums, and of course Jay Gambit himself preforming vocals as well as synth, tape manipulation and other electronic effects. 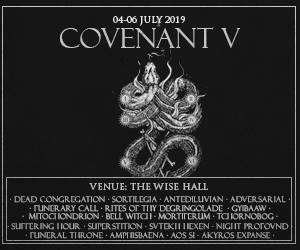 This brand new line-up sees Crowhurst recognize a more fully realized, and for lack of a better word, more mature sound. While their first self-titled effort was a fantastic album, and a perfect introduction to Crowhurst’s misanthropic brand of music for a wider audience, II absolutely outclasses it in every way I can think of. Bringing to bear the talents of these three titans, Brignell and Thorn bring discernible elements of their own talents, but in no way overshadow the collective vision that is Crowhurst. The three work together remarkably well for a lineup that has only been in existence for a year or so. 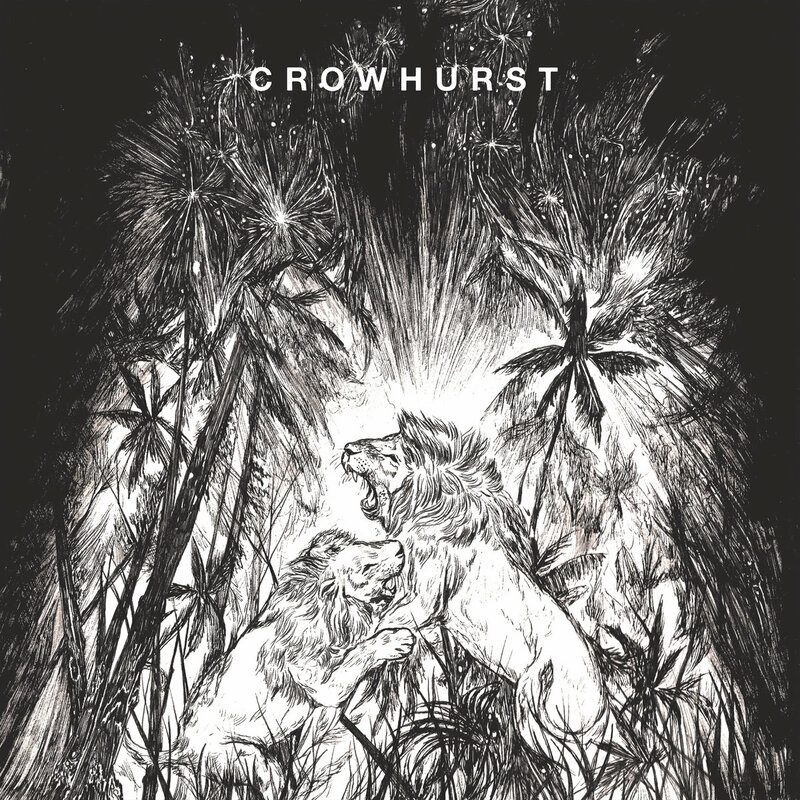 The band manages to still maintain the unique identity of Crowhurst but add wrinkles from each contributors individual repertoires that strengthens the band as a whole and pushes Crowhurst to new heights previously unreached, crafting a unique and vital piece of art that is a strong contender for one of the best releases of the year. 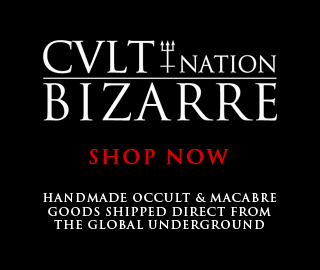 Similar to last year’s self-titled full length, this release is built on the basis of the sounds of noisy black metal and syrupy-sludgey doom, with elements of psychedelia, post-rock, and punk deftly interwoven into the mix. While it touches on and incorporates many different sub-genres and facets of said genre, II never feels messy or slapped together. It is a deliberate tapestry woven from all of these individual elements, extreme music pointilism that draws on Crowhurst’s already established style and incoporates the expertise of the two new contributors, in addition to brand new elements that are an amalgam of all three men’s experimental leanings. The final result is a colorful, chaotic, and almost playful final product cleverly disguised as dark, unhinged, black metal record. The album starts akin to I, with a bleak and noisy opener reminding us of Crowhurst’s roots as a blackened noise monster, rumbling and undulating it’s way to set the stage for the forthcoming tracklist. It is a short and sweet instrumental track, a growing chaos that builds it’s way to a sudden lurching stop before the opening strains of “Take This Pain Away” creak into hearing. 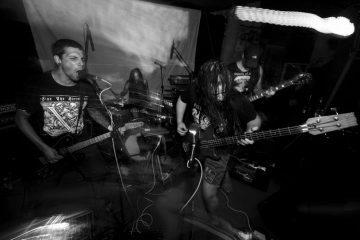 The asserts itself with dissonant, rumbling guitars carving out a doomy march backed by decidedly black metal riffing and pounding drums asserting themselves in the mix. This is tied together with Gambit’s pained, raspy screams, pleading with the listener. The resulting sound is urgent without sounding rushed, and deliberate without being plodding. 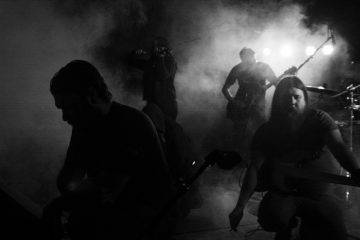 As the track marches forward, Gambit’s screams turn to wails and the guitars more frenetic, eventually segueing into the faster paced, “The End.” Here, post-metal atmospheres and black metal guitars accompany blast-beats, and Gambit’s pained shrieks in an ever-escalating race to the end, occasionally broken for an instant by catchier head nodding riffs that never seem out of place. The track slows itself but seems to continue escalating musically as Gambit shows off some vaguely Gira-esque clean vocals; slow, low, slurred and almost apathetic. This constant back and forth of tempos, styles, genres, and moods is a staple of the album. It is a masterpiece painted by multiple artists using different brushes and different paints on the same canvas, but they are painting together in complete perfection. Gambit further showcases his diversified clean vocals across the album, but does so in a way that never feels showy or interferes with the atmosphere of the album, on the contrary his muddied, lower-register drawl contributes to the urgent feelings of pain, loss, resignation, and fatigue that dominate the album, and a majority of Gambit’s work. Defiant punk-like energy and noisy post-metal soundscapes assert themselves across the entire album. The unique and masterful blend of styles and sounds creates remarkably memorable moments in every track. Despite being rooted in genres that pride themselves on being as repellent as possible, there are head-nodding riffs in almost every song that would not be out of place in a far more ‘mainstream’ rock band, and this does nothing to diminish the stylistic execution of the album, but rather enhances it greatly with surprising and graspable twists behind every syrupy doom march or scorching black metal leaning passage. The final track on the album, “Dried Blood and Old Earth,” sees Crowhurst embrace their noise/drone origins once more in a near fourteen minute long crawl through trippy, hazy, swamps dotted with pitfalls of blackened noise. The track is reminiscent of some of Caïna’s earlier work and some of Crowhurst’s more drone oriented material, with tinges of psychedelia coloring the piece. The resulting experience is all at once invigorating and disorienting, at times threatening to boil over into something with more concrete structure but never giving itself solid form. Dancing just out of reach as Crowhurst experiments with the amalgam of styles they’ve combined over the course of this thirty plus minute musical journey, and continuing to add even more new elements, even in these final minutes. II is decidedly Crowhurt’s most emphatic musical statement so far. It is adventurous and fun, but still maintains the dark, bleak, honesty that Gambit’s work has come to represent throughout his musical career. There is a palpable pain of real world experience, far removed from the melodrama of some of his contemporaries within the style. While communicating and reveling in this pain and loss, Gambit and his cohorts never lose themselves or their visions to it. They maintain a vision and don’t compromise their creativity by limiting themselves to these bleak, established aesthetics. This honesty enables them to experiment with sounds and styles far abroad from their individual starting points, while maintaining their blackened misanthropic sensibilities. This makes for painful, honest yet fun art that is without a doubt one of the best releases I have heard, and likely will hear, all year.